If you missed the King Tides in Morro Bay in December, fear not, you can observe their spectacular power when they return next week. And this time they will produce the highest and lowest tides of the year. The most obvious place to watch the waves, and their spray, is just south of Morro Rock at the entrance to our Harbor, as they break over the rock jetty. Here you can see the ocean waves build in open water beyond the breaker and approach the harbor entrance, before they crash over the jetty catapulting water high into the air and onto No Name Beach below. 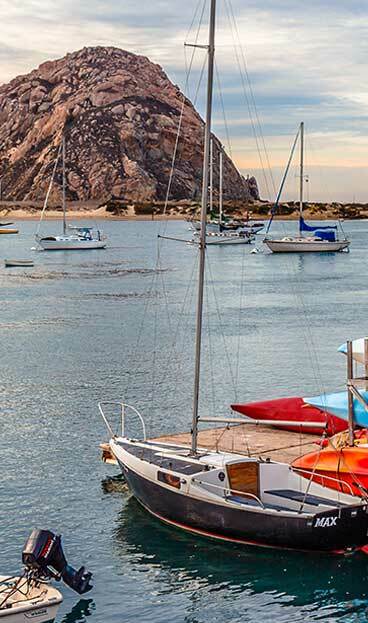 Morro Bay is a photographer’s dream with natural backdrops that are striking and beautiful. The King Tides are no different, but they are rarer. Aside from the Jetty, there are many other places along Morro Beach, the bay, the back bay and the estuary to observe the less obvious, yet still dramatic changes. Bring your camera and enter the Morro Bay Estuary’s Morro Bay King Tides Photo Contest. Submissions end at 11:59pm on January 23rd, and the winner will be announced January 31st. Besides the gravitational force tidal waves, additional factors this time of year make for the perfect storm to produce waves. For example, they are predicting 17 to 19-foot west-northwesterly swells along the Central Coast by midday today, and offshore could reach 25 feet. The Estero Bay Surf Club’s Big, Bad, and Ugly Invitational February 16 & 17th. 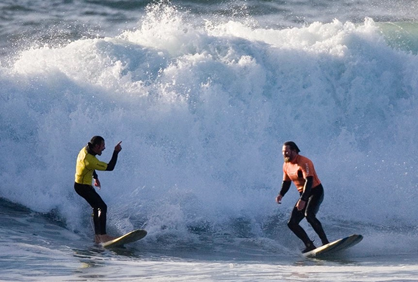 Watch as competitors ride the challenging winter waves. The beach provides plenty of room for spectators, and the invitational provides free entertainment. The waves can be calming and remind us of the power of nature, but they are also just fun to watch. Take a trip to the Morro Bay coast over the next couple months to avoid the summer crowds and to enjoy the winter waves. Just be sure to stay safe by always facing the ocean and being aware of your surroundings.